Work on the project takes place throughout the year. Buying toys, games, books etc when bargains are available; working with local schools and support agencies who know first-hand which families will most benefit from the scheme then contacting a parent or carer to learn what would be most appropriate for the child or children; sorting, wrapping and labelling gifts and then on Christmas Eve teams of GLCT volunteers work to deliver the sacks during daylight hours to the families at pre-arranged times. 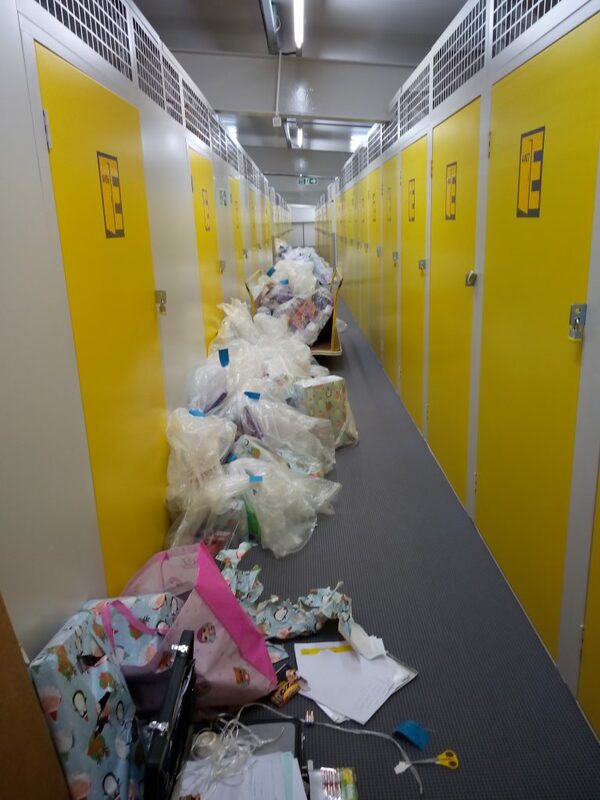 Thanks to Easistore Crawley for storage space; Titan Travel and Matthews (Sussex) Ltd for the use of their vans and everyone who gave up so much of their Christmas Eve to make sure none of the children on this GLCT list went without their presents.